August 28th at 1:30 – ONLY 36 TEAMS CAN SIGN UP! Every group can sign up to 4 – Foursomes so take advantage of this opportunity! All your players need to do is to ask their friends, family, co-workers, neighbors etc. to go up to the pledge drive website and sponsor their efforts toward making “Birdies or Better” at Ruffled Feathers for your cause. To make it easier for them to secure bigger dollar pledges in their name, SMT Events will give EVERY person who pledges $10 per “Birdie or Better” for any and all players, a $25 Gift Card to Ultimate Golf that they can use in the store in Willowbrook or online. Also, for every $10 Pledge they will also receive an entry into a chance at the three Vegas or Reno vacation stays that SMT Events will be giving away the day of the event as well. Three lucky winners will enjoy 3 days/2 nights for two people ANYWHERE they would like to stay in Las Vegas or Reno (airfare not included). 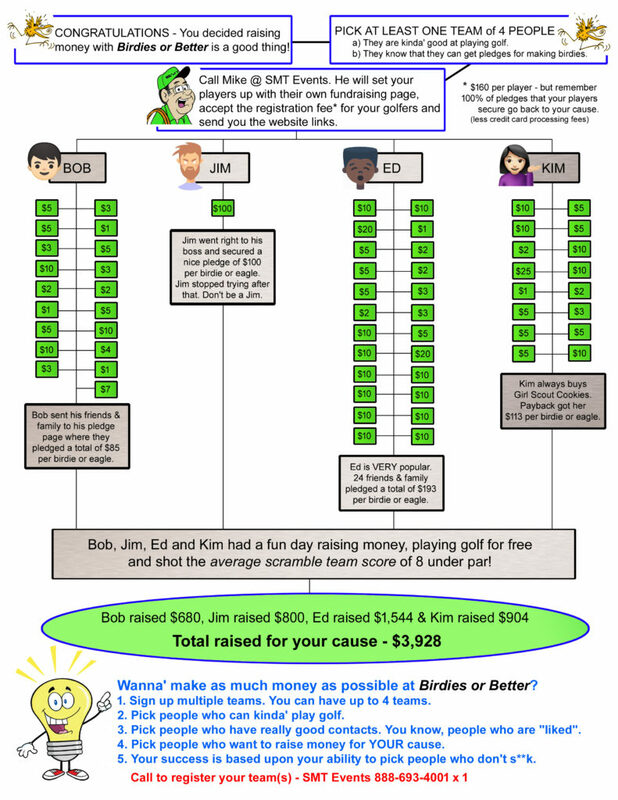 Our goal is to make it easier for ALL of your golfer’s friends, family, co-workers and others to be as generous as possible to raise BIG MONEY for your cause! Again, Just call us to register your group(s) – You do NOTHING else! You don’t have to be there that day, we don’t need volunteers, we don’t need prizes, gifts, food, sponsors, baskets or anything. SMT Events is taking care of everything and the best part is…. 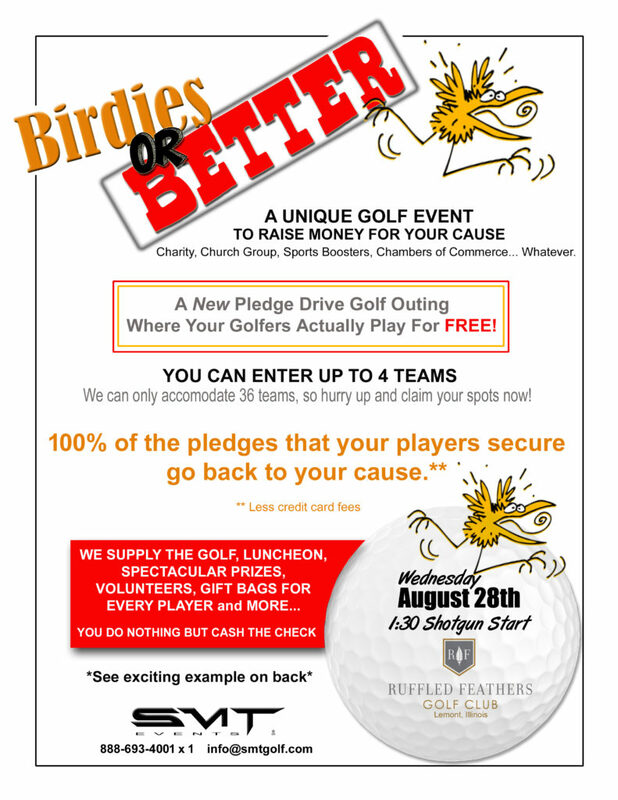 YOUR GOLFERS ARE PLAYING A FREE ROUND OF GOLF AT RUFFLED FEATHERS!